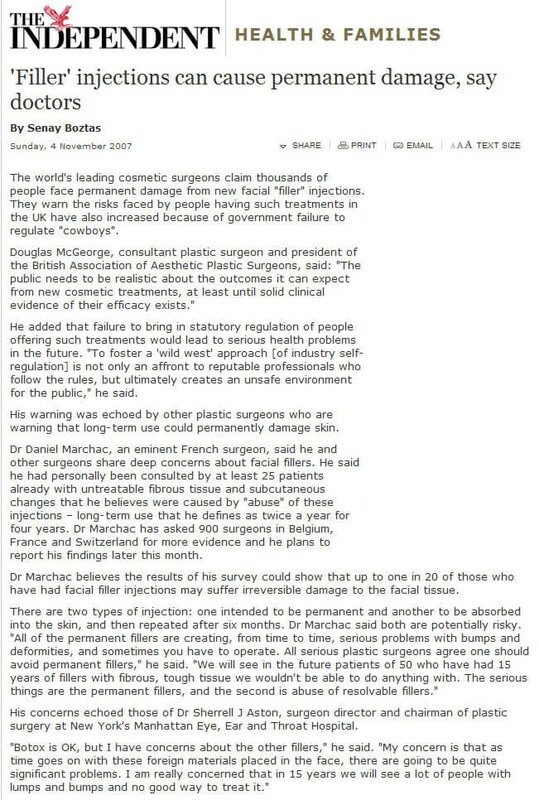 Title: "Is Combining Hysterectomy and a Tummy Tuck Safe?" Title: "Top NYC Plastic Surgeons Discuss Pirates Pitcher's Orbital Blowout Surgery"
Title: "Teens and Elective Cosmetic Surgery: An Expert Commentary on Real-World Scenarios"
Title: "What’s in a Face at 50?" 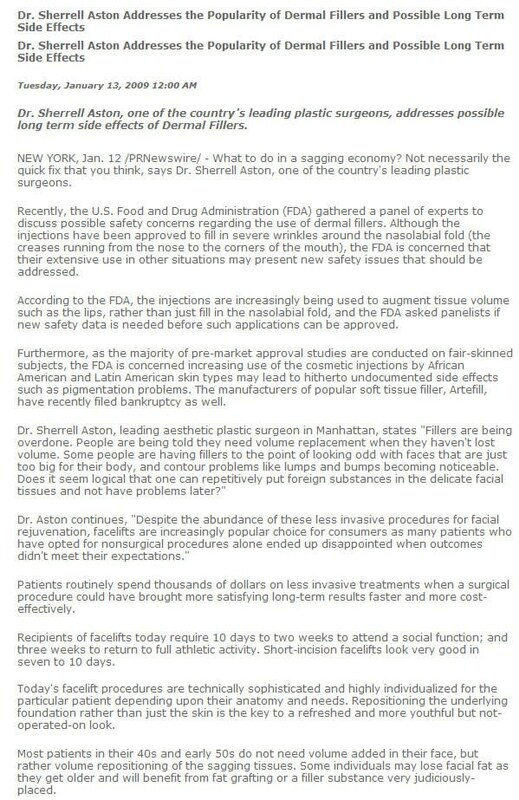 Title: "Face-lifts Are Down, But Not On Their Way Out"
Title: "The Modern Face-lift: An Expert Interview with Sherrell J. Aston, MD"
Title: "Less Cash, More Plastic?" 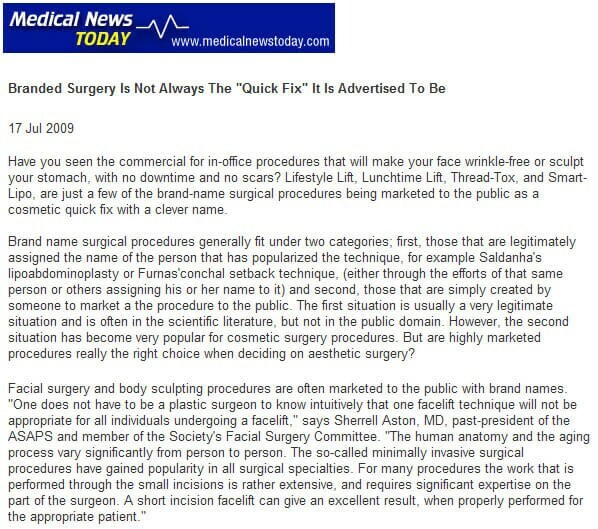 Title: "For the Moment | Bonnie Fuller on What Women Want"
Title: "Branded Surgery Is Not Always The "Quick Fix" It Is Advertised To Be"
Title: "Dr. Sherrell Aston Addresses the Popularity of Dermal Fillers and Possible Long Term Side Effects"
Title: "Age before beauty: time to grow old gracefully"
Title: "‘Filler injections can cause permanent damage, say doctors"
Title: "Current Trends and New Techniques in Rhinoplasty: An Expert Interview With Sherrell J. Aston, MD"
An Expert Interview With Sherrell J. Aston, MD"